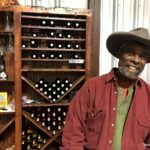 If you have ever met Alphonse Dotson of Wines of Dotson-Cervantes and Certenberg Vineyards, you will not forget that moment. His always present large smile coming from below the cowboy hat on top of his tall frame will immediately grab your attention. His witty conversation and stories will keep you attentive. I recently had the chance to talk to Dotson and learn even more about his background, including things that have not been written. There was probably a small chance of that happening for the future NFL defensive tackle. He graduated from Yates High School in 1961, and went to play football at Grambling State University where he earned first team All-American honors in 1964. In 1965, Dotson was the 24th overall pick in the NFL draft in the second round, but instead decided to sign with the Kansas City Chiefs of the American Football League. He played for a year with the Chiefs, another year with the Miami Dolphins in 1966, and then his best years from 1967 to 1970 with the Oakland Raiders. After retiring from the sport, Dotson moved to Acapulco by a suggestion from a football friend, and he met his wife and Guadalajara native, Martha Cervantes, there. They lived there for 12 years before one of his children got into a little mischief in Acapulco. Three friends told him separately it was time to move back to the States. Dotson decided he was going back to grow grapes instead of playing chess and lying in a hammock all day. He mentioned that to his wife, and she just looked at him and smiled. They told the kids and they didn’t believe him. Dotson said, “Sure, he owns part of the Raiders.” McLeod said, “Come see me when you come to California.” He told Dotson he lived in the Rutherford section of Napa. For a wedding present, McGah’s father-in-law gave him them a home with a 43 acre vineyard on it right across the river from McManis Family Vineyards. Dotson told him he would be there to see him sometime. They talked over the next couple months and Dotson asked when would be a good time to visit. McGah asked what he wanted to do when he came, and the answer was he wanted to learn about growing grapes. McGah said he would introduce him to two guys, one that went to UC Davis and an old-timer who learned it the old-fashioned way. 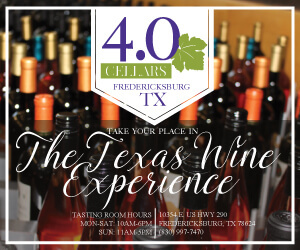 After learning about growing grapes and deciding Texas was going to be the place to start a vineyard, it was now time to find the land. He first came back to Houston to tell his mother what he wanted to do. 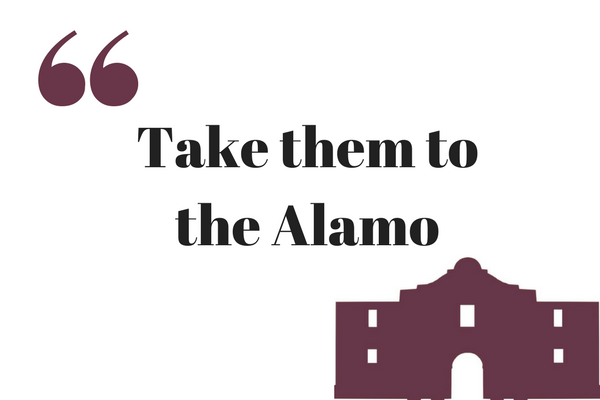 When he got off the plane, a little voice said, “Take them to the Alamo.” He kept hearing that voice. Lunch was enjoyed in San Antonio, and after eating, they exited on Blum Street. Down this street was Blum Street Cellars with the sign “Texas wines.” Blum Street Cellars sold wines from the Hill Country. Dotson went in to introduce himself to the owner, Timothy Morgan at the time, and told him what he was doing. Morgan suggested he was looking in the wrong direction. Dotson said he would take the rest of the family to the Alamo and he would come back to talk to Morgan. On the list first, was his father who taught viticulture at Grayson County Junior College. Morgan said he could go visit his dad and stay with him as long as he wanted. The other names mentioned were Dr. Charles McKinney at U.T. who helped develop the vineyard at Ste. 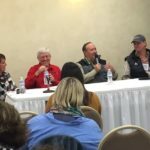 Genevieve, Dr. George Ray McEachern (viticulture), the Aulers (owners) at Fall Creek Vineyards, Hoss Newsom (viticulture), Nel Simes who owned Grape Creek Vineyards at the time, and Dr. Richard Becker of Becker Vineyards, along with some others. Dotson went back home, thought about what he learned on that trip, and decided he would take the next year and a half to visit everybody on the list that was given. In doing that, he would always ask the same question, “Give me a list of people to talk to that you’d leave your daughter with.” In doing that, he wanted to see the consistency of who these individuals were recommending. For the most part, the same names came up plus a few more. 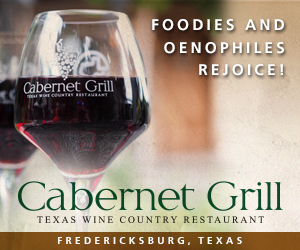 In short, he was giving himself his own education on the Texas wine industry. 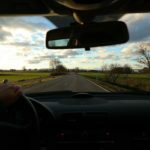 When it came time to make a decision on where to go, Dotson decided to make it simple and eliminate where he was not going to go. He wasn’t going to the Red River Valley and he wasn’t going to the High Plains. The primary reason for that decision was he wanted to stay within five hours of Houston in case he needed to get to his mother. He took a Texas map and determined where the furthest distance was and started working back. The furthest distance was Brady, Texas. Dotson had found a real estate agent in the Houston newspaper that said he was in the Hill Country, but didn’t say where. He called the realtor and coincidentally he was located in Brady. Dotson told him what he was looking for which was 60-100 acres of land and the maximum amount he would pay for it. The ironic thing is his mother had two uncles who had been born in Brady, and the city had named a park after one of her uncles in the mid-50s called Willie Washington Park. Dotson decided the city can’t be too bad. In addition to that, Highway 71 starts out of Brady heading to the Gulf, and his number when he played for the Raiders was 71. He pulled out the survey book for McCulloch County where Brady is located, and started looking at the soil composition of different areas, and then marked letters A through G on the areas, even though he didn’t know if the land was for sale. Dotson’s realtor called about two weeks later and told him he had found three pieces of land to which he asked for a map or topography of the area. The realtor faxed him the information and Dotson started to laugh. He brought the fax to Martha, laid it out, and said, “Look at the three pieces of property I found.” She looked and said, “I guess we’re moving.” It was A, B, and C.
The vineyard is called Certenberg Vineyards, named after his grandfather, Alphonse Certenberg, and is located in Voca, between Brady and the winery in Pontotoc off Highway 71. Right now, Dotson and Cervantes have a 30-acre vineyard of which 25 acres are producing. They grow Chardonnay, Cabernet Sauvignon, Merlot, Muscat Canelli, Petit Verdot, and Muscat Giallo. About half an acre is Alicante Bouschet they planted last year. 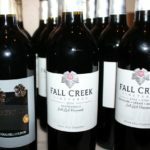 They currently only sell to Fall Creek Vineyards. 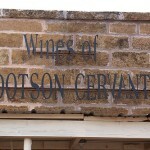 As mentioned previously, the winery called Wines of Dotson-Cervantes is located in Pontotoc. 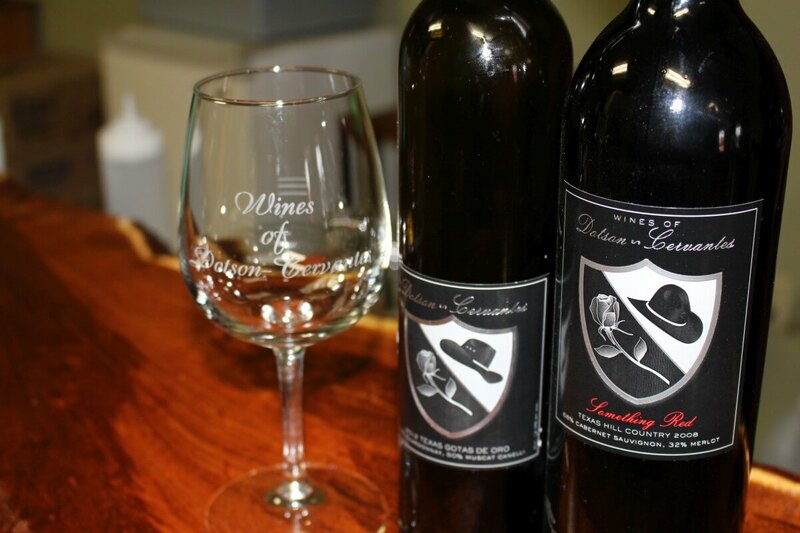 In fact, they hold two winery permits, one inside Fall Creek Vineyards and one at Wines of Dotson-Cervantes. 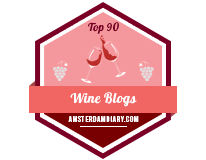 Their first wine was Gotas de Oro (“Drops of Gold”), and they followed it up with a wine called Something Red. You’ll have to read our previous post for the meaning behind that name. Now they have two more wines. The first wine is called Perseverance which is a white wine (75% Muscat Canelli, 17% Malvasia, along with Muscat Giallo and Chardonnay) whose first production was released in August 2015. That wine was produced in Pontotoc with 67 cases the first year and it sold out in less than a week. They sold two cases of Perseverance to a location in San Angelo that weekend, two cases out of the tasting room that weekend, and was planning on bringing three cases to Salt Lick BBQ to sell. But after talking to Scott Roberts of Salt Lick, he wanted to buy them all. They decided they would sell half to him and keep half for the tasting room. 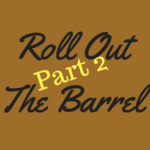 By October, both Salt Lick and the tasting room were down to a few cases left. 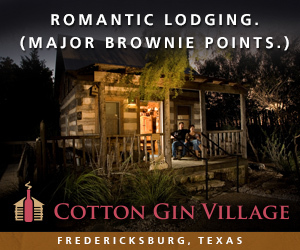 Salt Lick asked him about his next production and Dotson said the next production looked like it would be about 190 cases, which turned out to be 207 cases. Roberts said he would take an allotment total of 70 cases. The fourth wine was just bottled last September 2016 and is called Patience that is a red wine (Merlot, Sangiovese, Cabernet Sauvignon, Petit Verdot). They discovered by accident on the way out of the 2017 Rodeo Uncorked! 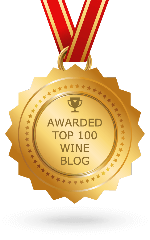 Roundup and Best Bites Competition that it had won a silver medal at the 2017 Rodeo Uncorked! 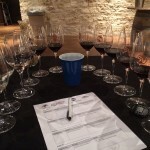 International Wine Competition, and in fact was a Texas Class Champion. The last two wines Dotson made with the guidance of Don Pullum who he has been working with for over 15 years. 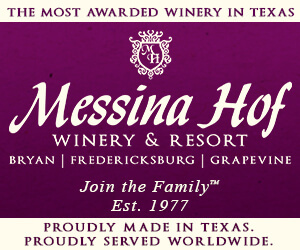 During his years of growing grapes, Dotson even served as a President of the Texas Winegrowers Association (now called the Texas Wine & Grape Growers Association). I had to ask Dotson about his connection with Sports Uncorked who has been following Texas Wine Lover on Twitter and vice-versa for years. 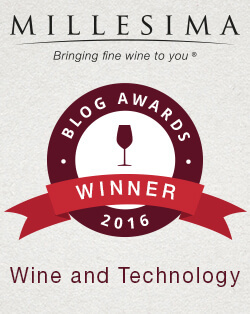 It is a great website that shows how sport celebrities are related to wine, their causes, and much more. Dotson said he was introduced to the owner as he was looking for athletes and what they were doing now, and especially if it was related to wine. One interesting thing found during that discussion was the Oakland Raiders had three different individuals doing different things involving grapes. Safety and cornerback Charles Woodson was making wine, coach John Madden was growing grapes, and Dotson was growing grapes and making wine. At the time, and it still may be true, there was no other team that had people involved with all aspects of wine. Sports Uncorked shows the public that former football players, as in Dotson’s case, can do something other than play football. Dotson is very involved with the Texas Commission on the Arts. 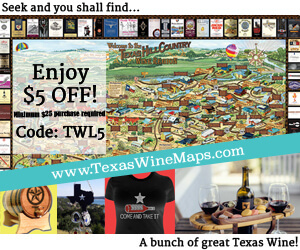 When people come to Wines of Dotson-Cervantes, Dotson asks if they are familiar with the Texas Commission on the Arts. About 70% will say yes. For those who are not, he explains the Commission is set up to assist schools and neighborhoods bring arts to their community. He is also one of the longest term commissioners running in the commission. Normally it is a six-year position, but this past December, he completed 15 years. Perhaps that is why you will always find a smile on Dotson’s face. we went by there. Not expected what we found. The nicest, finest gentleman, ever. We got to sample the wines and hear from the man, himself, his story. We were delighted, and amazed at the way this gentleman captured our attention. It is definitely worth another round.. Our 16 year old daughter is looking forward to it. Hopefully, we will meet Mrs. Cervantes, too. Adorable and fine gentleman, Señor Dotson. Great story. 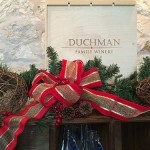 Please note that the winery has changed locations to be at their vineyard now. 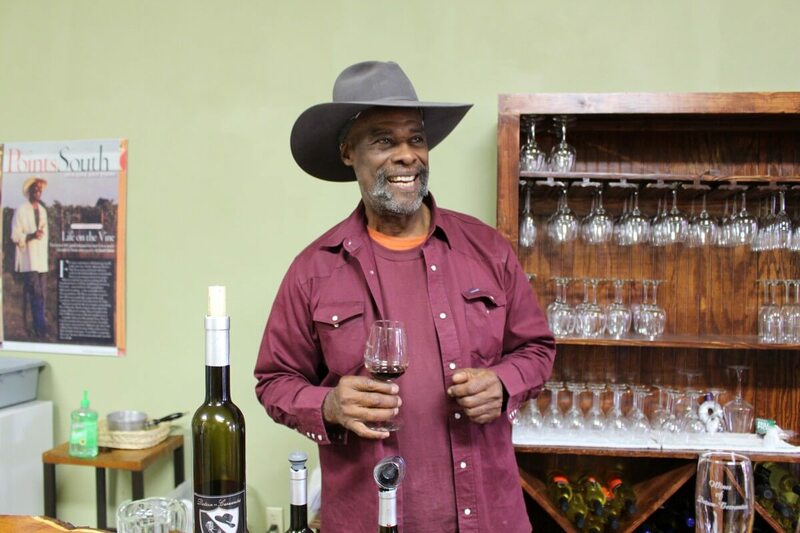 Had the pleasure to meet Alphonse @ Texas Wine and Vinyards, in Fredericksburg, a few years ago. Bought several bottle of the Gotas de Oro, two of which he personalized for me. A fine man, and a great conversationalist. It was an immense pleasure talking, and sipping his wines! James, I couldn’t have said it better!